Phillips Murrah announces passing of Director Shannon K. Emmons - Phillips Murrah P.C. It is with deep sadness that we announce the passing of our dear friend and Partner at Phillips Murrah, Shannon K. Emmons. Shannon Kathleen Emmons, 57, of Oklahoma City, passed away at 2:24 pm, June 7, 2018, due to heart complications. Shannon was born November 10, 1961 in Blackwell, Oklahoma, to Roger and Kathy (Briggs) Hawkins. Shannon graduated Blackwell High in 1978, and married William “Brock” Massey on October 13, 1979. The couple had two children: Zachary Brock Massey, born April 27, 1981, and Michael Sean Massey, born the same day three years later, on April 27, 1984. Brock and Shannon divorced in 1988 and on November 17, 1991, Shannon married Stuart William Emmons. In 1997, Stuart and Shannon welcomed a third son to the family, William Ware Emmons, who was also born on April 27th, the same day as his two older brothers. Shannon graduated from the University of Oklahoma in 1987 with a B.A. in Letters and from the University of Oklahoma College of Law in 1990, where she was a member of the Oklahoma Law Review. 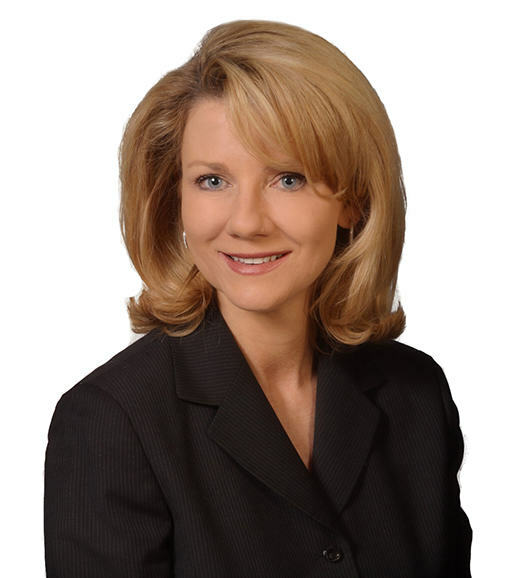 For her accomplishments in the practice of law, she received the Martindale-Hubbell “AV” rating in 1997, was named to Oklahoma Super Lawyers in the area of Civil Litigation Defense, and was recognized by Best Lawyers in America in Commercial Litigation. She was a shareholder, director and, at the time of her death, a member of the Executive Committee of the law firm Phillips Murrah. Shannon was passionate about community service, and was especially proud of her service as a director and the Vice Chairman of the Board of the Latino Community Development Agency. Outside her professional career and community involvement, Shannon enjoyed spending time with family and friends, especially over an expensive restaurant-bought meal. She loved animals, and if you knew her at all, you probably knew about the goings-on of her cats, Truman and Major Tom, and dogs, Puppy and Weezer (whom she considered to be intellectually gifted). Shannon was beautiful, gracious, witty, fearless, generous and above all, in charge. She lived life to the fullest, traveling, reading, and making dinner reservations whenever possible. She loved her children and was family to all she met. She delighted in seeing happiness in other people and worked tirelessly toward that end. Shannon disliked everything about Donald Trump, including, among many other things, what he stands for, how he governs, and how he treats people. In her own words, “I detest everything about that man.” Recently, Shannon became active in local Democratic Party politics. She will be dearly missed. Shannon was preceded in death by her grandparents, Ray and Bernice (Rogers) Briggs and Mart and Roberta (Farnsworth) Hawkins, as well as her brother-in-law Michael Allen Morrow. She is survived by her husband, Stuart W. Emmons, her sons, Zachary B. Massey, M. Sean Massey, and William W. Emmons, her sisters, Shelly (Hawkins) Paynter and Sinden (Hawkins) Clarke, her parents Roger and Kathy Hawkins, and her uncles and aunts, Mike and Marsha Briggs, Max and Becky Hawkins, and Carolee Briggs. Shannon is also survived by over 30 cousins, nieces and nephews, all of whom she loved and delighted in following their accomplishments, as well as her many friends and colleagues who she considered family. Services will be held at 2:00 pm on Thursday, June 14, 2018 at Westminster Presbyterian Church, 4400 N Shartel Ave, Oklahoma City, OK 73118. In lieu of flowers, donations in Shannon’s name can be made to the Latino Community Development Agency (lcdaok.com) 420 S W 10th Oklahoma City, OK 73109, or Legal Aid Services of Oklahoma, Inc. (http://www.legalaidok.org/).